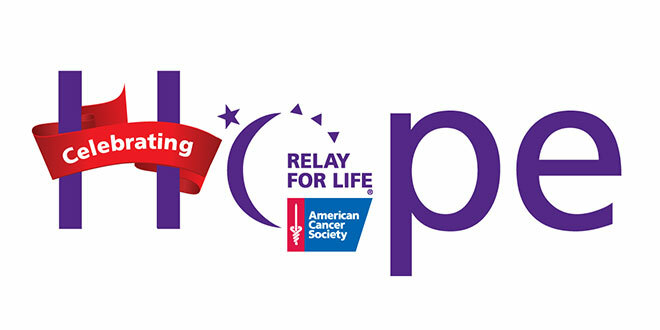 The Relay For Life of Marco Island, presented by Robert J. Flugger, will celebrate ‘A World of Hope.’ The Relay will begin at 4 PM on April 12 and end at 6 AM on April 13. The event takes place at Mackle Park. This year, teams made up of community members, businesses, schools, and other organizations have selected countries to inspire them as they raise funds for the American Cancer Society’s research, programs and services. There will be food, games, activities and entertainment for all ages to enjoy. These teams and our sponsors hope that by working together we will see an end to cancer in the very near future. Because cancer never sleeps, Relays across the country are overnight events that emulate the journey of the cancer patient. It is our way of recognizing their hopes and dreams and raising awareness. Many people hear the word Relay and they think they personally have to walk for 14 hours, and that is not the case. Teams are encouraged to have someone on the track at all times and individuals that join us for a portion of the day are welcome to walk for as many laps as they are able or want to do. Relay For Life is an uplifting, festival type atmosphere with an underlying message of hope and a serious commitment to create a world with more birthdays. People of all ages will be walking the track and participating in creative themed laps to make it even more fun. Although every Relay For Life is different, there are certain traditions at all Relays, no matter where they are held. These traditions help participants celebrate, remember and fight back. Relay for Life begins with a Survivor’s Lap. This is an inspirational time when survivors are invited to circle the track together and help everyone celebrate the victories we’ve achieved over cancer. The Survivor’s Lap is an emotional example of how Relay participants are creating a world with more birthdays like those of each individual on the track. At the end of the Survivor’s lap, cancer caregivers join them and they take a lap together. Immediately following these two inspirational laps, all survivors and caregivers are invited to join us for dinner. These activities begin at 4 PM with dinner beginning around 5 PM. Please plan to arrive early to register and receive your survivor t-shirt. After dark, we honor people who have been touched by cancer and remember loved ones lost to the disease during the Luminaria Ceremony. Candles are lit inside bags filled with sand or cans, each one bearing the name of a person touched by cancer, and participants walk a lap in silence. Luminaria bags will be available at the event to personalize. The Luminaria Ceremony will begin at 9 PM. Fundraising for Relay For Life has been underway for several months and our teams have been hard at work raising awareness among their friends, families and coworkers. A Zumba fundraising event will take place on both March 22 and April 5 at the Marco Island Fire Station. An event-wide garage sale will be held on March 29 and a car wash in late April. Relay For Life raises funds to support the American Cancer Society mission by helping people stay well, helping people get well, finding cures and by fighting back. While fundraising for Relay is fun and competitive, it is also crucial to continuing the mission. Through Relay For Life, participants make it possible for this life saving research, as well as all of the education, advocacy and service programs the American Cancer Society continues to offer. By supporting Relay For Life, our teams and our sponsors, and these pre and post events, you will truly be helping your community and saving lives. No matter where you are, there’s a place for you at Relay. It’s not too late to start a team by signing up online at www.relayforlife.org or you can join us at the event and enjoy the activities, kids play area, music and food available for purchase with all proceeds benefitting your American Cancer Society. Be sure to stop by the ACS tent and say hello – we’d love to meet you! Thanks to Relay participants, we are creating a world with more birthdays and a world where cancer can’t claim another year of anyone’s life. This is an ongoing series of columns dedicated to informing the Marco Island community about The American Cancer Society, the nationwide community-based voluntary health organization dedicated to eliminating cancer as a major health problem by preventing cancer, saving lives, and diminishing suffering from cancer, through research, education, advocacy, and service. The Marco Island American Cancer Society office is located at 583 Tallwood, Unit 101 and is open daily from 9AM-5PM. For more information about volunteer opportunities, events and services please contact Lisa Honig at 239-642-8800 ext. 3891.